Obituary for E. Anne Wood | Crouch Funeral Home, P.A. E. Anne Wood, 87, of North East, MD, passed away at U. H. on March 28, 2018. She was born on June 27, 1930, to the late Wayne and Margaret Dennis. Mrs. Wood was a second-grade teacher at North East and Bay View Elementary schools for many years. She was an active member of Hart’s U.M. Church in Elk Neck, a member of Friends of the Library and enjoyed volunteering at Calvert Manor. 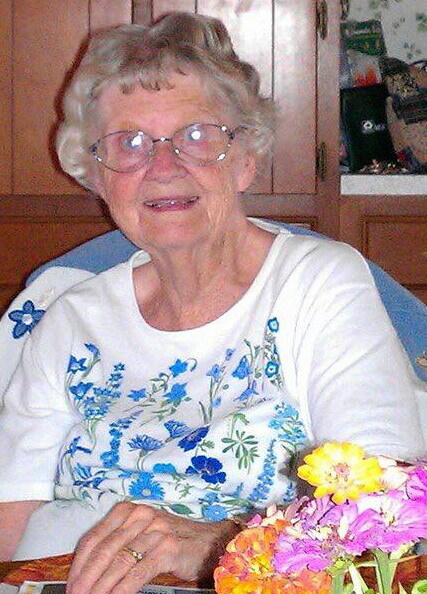 She was an enthusiastic fan of the Baltimore Orioles, enjoyed traveling, flower gardening and jigsaw puzzles. She was predeceased by her husband of 60 years, Herbert Wood; and daughters: Beverly Wood and Aileen Yeatman. She is survived by her children: Joan Milton (David), Susan Russell, Karen Sherman (Tim), and Edmund Wood; eight grandchildren: Jesse Yeatman; Rachel Yeatman; Chad Milton (Sarah); Amy Pierce (James); Fred Russell; Michael Russell (Maria); Becky England (Barton); and Emily Wood; and 16 great grandchildren. Visitation will be held on Monday, April 2, 2018 from 6:00 pm until 8:00pm at Crouch Funeral Home, P.A., 127 South Main Street, North East, MD. Funeral service will be Tuesday, April 3, 2018 at 10:00 am at Hart’s United Methodist Church, 3203 Turkey Point Road, North East, MD. In lieu of flowers, memorable contributions may be made to: Hart’s Methodist Church in care of Crouch Funeral Home, P.A.